Iron and manganese are metals that are often found in water. These elements are naturally occurring and in small amounts are essential to a healthy diet. According to Penn State Extension, naturally occurring manganese and iron is often found in water that comes from deeper wells or has been in contact with rocks for an extensive amount of time. Why Should Iron and Manganese Be Removed? Neither iron nor manganese are desirable in drinking water. Extremely difficult to contend with, both iron and manganese — when found in high levels in municipal drinking water — are removed in order to improve the quality of the water. Of the two elements, iron is typically the more prevalent of the two as well as being the greater nuisance. Iron gives water a metallic taste that is difficult to enjoy. In addition to giving drinking water a foul taste, iron changes the color of the water, giving it a rust shade as a result of the iron oxidizing. More than bad taste and poor color, high quantities of iron in water can be damaging. The stains that iron-rich water put in clothing cannot be removed. The iron can permanently stain porcelain. And, most costly of all, iron galvanizes to metal pipes and builds up plastic pipes, becoming virtually impossible to remove once hardened to pipe interiors. Manganese is less common in drinking water than iron because, as a whole, it is less common in Mother Nature. But, when high quantities of manganese are found in drinking water, virtually all the same issues iron creates manganese produces as well. If you have black rings on your porcelain, it is probably due to an excess of manganese. Manganese does not have a pleasant taste nor odor. It stains clothing. Manganese gives water a cloudy, greyish color. And, just like iron, it builds up on the insides of pipes and, after a time, will reduce water pressure to the point that the pipes must be replaced. It is expensive for a single family to replace water pipes. When an entire community is affected by water that is high in iron and/or manganese, the costs can be astronomical. It is much less expensive to treat iron and manganese rich water than dealing with poor water quality. There are several methods that can be used for iron and manganese control and removal for groundwater. The United States Department of Agriculture suggests having the water tested before deciding the best method of removal, because the success of different treatments depends on factors such as the hardness of the water, pH, and the presence of other elements and organic materials. Chlorine — Applied as a gas or a liquid, chlorine is a common method of removing iron and manganese. Chlorine Dioxide — Chlorine dioxide is sometimes used when chlorine treatments are unsuitable. However, it is more costly than chlorine. Potassium Permanganate — Potassium permanganate can be more expensive than other chemicals but usually requires less equipment. AOS can put together an industrial or municipal water treatment plan that can remove excessive amounts of manganese and iron in groundwater. 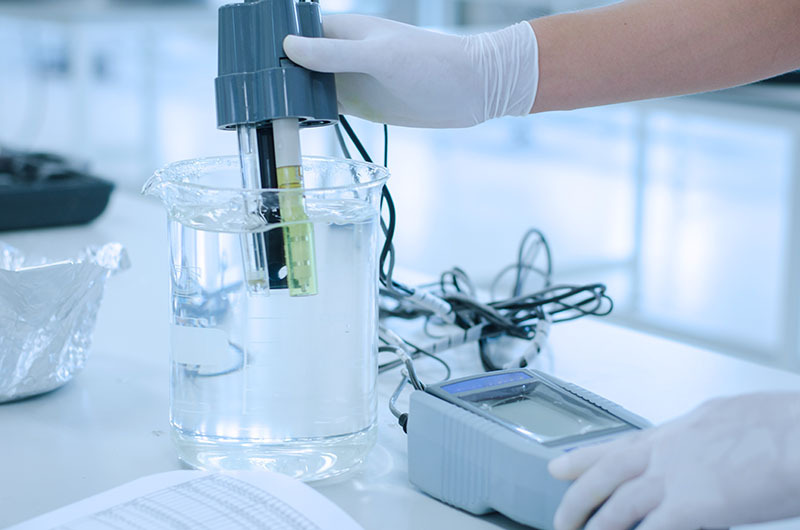 We have the experience to provide an effective solution that will improve water quality as well as meet all regulatory standards. Contact a consultant at AOS Treatment Solutions for iron and manganese control and removal for groundwater.